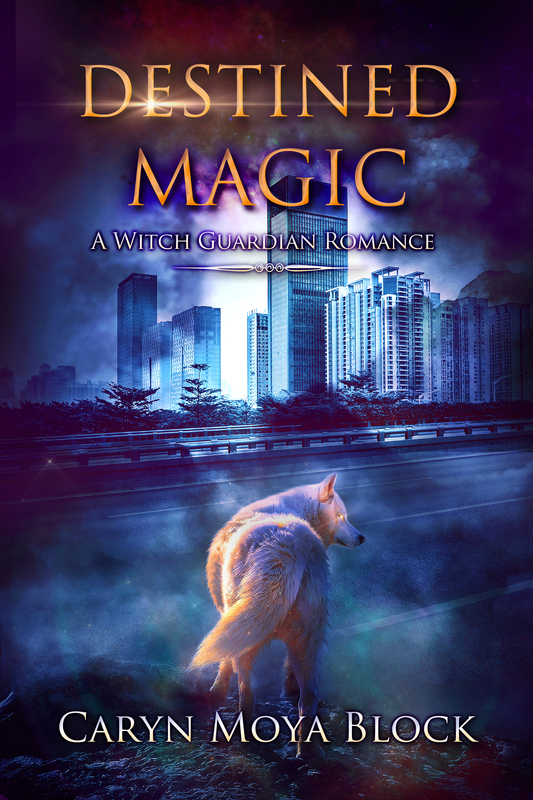 My readers have been asking about the next generation stories that go with my three paranormal series, The Siberian Volkov Pack Romances, The Witch Guardian Fantasy Romances and The Shadow Walker Romances. These stories would highlight the children of the various couples you met before, all grown up. I’m so excited to announce that the first in my new series, The Volkov Family Chronicles is here! Where else would I start, but with the stories of the children of Siberian Lycan, Dmitry Volkov, and his mate, Violet, from Alpha’s Mate. Some of the themes really hit home for me. It’s now twenty-six years after Alpha’s Mate and the world has changed considerably for our characters. The world is a smaller place. The same could be said about the world changing for you and me. Do you remember when the first cell phones came out? They were huge and so expensive only the rich or government officials had one. Now everyone has one and most of the time they are within reach. Not to mention other forms of technology, drones, AI, social media, cameras, and computers. Everything seems to be caught on camera these days. Making it hard to hide anything from anybody. So if you were a supernatural being, how would you stay hidden from the masses? This is the world my characters will find themselves. All of my characters from all three of my series. We will journey with them as they find their way. I hope you will be excited to join me. Katya Volkov is all grown-up and working in New York City. She has the unfortunate title of “Ice Princess” because she can’t get past friendship with a man. The only one she ever loved, Illarion Lebedev, left Siberia when she was sixteen and she hasn’t seen him since. Unwilling to return to Russia and a life in a pack where women are expected to mate and have babies, preferably girls. She has worked hard for the last four years at Sunrise Advertising. Now a vice-president, she’s finally accomplished a level of success. But what does success really mean when you’re all alone at the top? Illarion Lebedev has secretly watched over Katya since she was in college. He’s proud of her accomplishments. Now that his plans are coming together and he’s the new CEO of Sunrise Advertising, he’s ready to finally claim his mate. But wooing the “Ice Princess” will take more than his good looks and social position. It will take a love strong enough to thaw her wounded heart. Look for it coming soon to Barnes and Noble, Kobo, and iTunes. Happy Discoverer’s Day. How do you celebrate? I like to think of all the people who have gone before and those who will go boldly forward in the future. The idea of visiting other places or planets is exciting. What will we find? A new species? How do they govern themselves? What kind of communities will they share? How do they procreate? Do they feel emotions? Have eyes and ears or are they telepathic? As an author, I have the ability to answer some of these questions while writing my books. I am currently working on Aqua Magic, where my hero and heroine encounter an underwater world. It was fun to decide how they govern themselves, what their cities look like and how their communities work. I know it’s not the same as going boldly into the unknown, but I can get a sense of what that might be like as I build my literary new world. What do you think is the most important discovery in writing a story in a new world? Leave your ideas in the comment section below. Thank you. I hope you have a great Discoverer’s Day! If you like stories with magic, dragons, and witches, you’ll love this book of fantasy, adventure, and most of all — romance. Pre-Order your copy today! Elise Delaire, the Guardian healer, goes to the bonding ceremony of her best friend. While there, Mabel Avery, the commander of the Guardians, introduces her to Curtis Brant. But when Elise shakes Brant’s hand, she realizes that not only is this man not who he says he is, he is also her Destined One. Owen Avery is on a mission from the queen of the Fae. Apprehend the rogue Fae who is now being called the Red Wizard. Everything is going according to plan until he shakes hands with the delectable Elise. Not only can she see through his disguise, but her touch causes his magic house tattoo to take on color, proving that she is his Destined One. Is he willing to give up his immortality and his home, the land of the Fae, to claim her? This is book two in the Witch Guardian Romance Series. To enjoy this book to the fullest, it is suggested that you read the series in order, starting with “Destined Magic”. It’s Here! I had so much fun writing this book and working with my editor to make it the best version it could be. My other series of books is set in contemporary Earth, except for adding some well hidden paranormal beings and talents. This series begins that way with Destined Magic and then the magic begins. Each book in the series will take the heroes on an adventure into a different world. I find world building exhilarating. I love coming up with different cultures and belief systems. In Aerial Magic you get to enter the world of the Fae, a beautiful and deadly place. Enjoy! The wood of the headboard stretched and opened to encase Elise’s wrists. “Hey, no fair,” Elise complained, tugging experimentally at the bonds. They held tight. I hope you enjoyed this last tease. 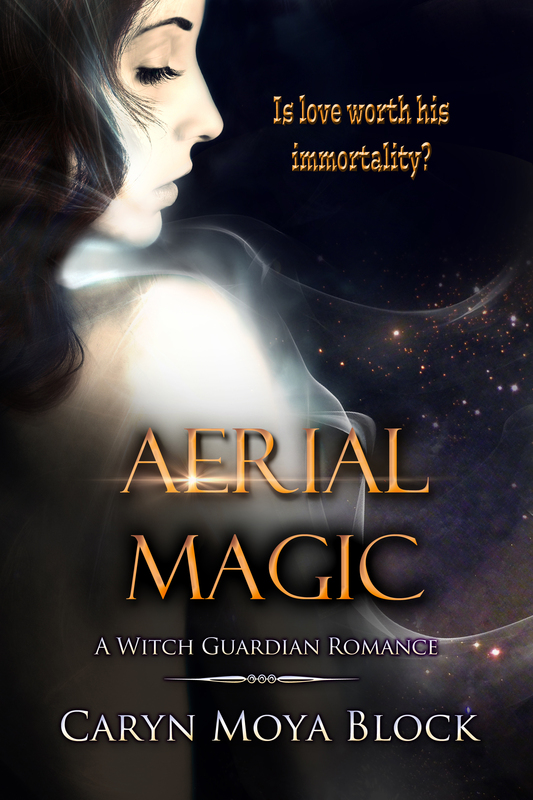 Aerial Magic is live and available at all your E-Retailers. Trumpets blared and a woman wearing a crystal studded emerald dress and tall silver crown entered, followed by several more guards. Pearls lay draped in her long white blond hair. “At last, Owen has sent Rhaim home. Guards take my nephew to the dungeon until I decide his fate. Now, what have we here, and where is Owen?” the woman asked. Two men wearing blue and gold uniforms dragged the Red Wizard from the room. Elise tried to sit up the rest of the way, and moaned when her brain threatened to burst. “Owen is at the Red Wizard’s compound. I used the bracelet port key,” Elise said, holding onto her head, the sound of her own voice painful to her ears. “Who might you be?” the woman asked. This must be the Queen of the Fae who Owen mentioned. “Guards, take this human out and kill her,” the woman said. I hope you enjoyed this little taste of Aerial Magic. Available for Pre-Order Now. As their hands touched, sparks shot from their fingertips. A shock of electricity traveled up her arm and into her heart. The man in front of her wavered, growing taller. His hair turned white blond and fell to his shoulders. The thick glasses disappeared and his eyes deepened in color to emerald. The bone structure in his face became more angular and his ears appeared to grow pointed tips. A look of shock crossed his features. I hope you enjoyed this little tease before the book releases March 9th. It is available for Pre-Order Now. This is book two in the Witch Guardian Romance Series. To enjoy this book to the fullest, it is suggested that you read the series in order, starting with Destined Magic.